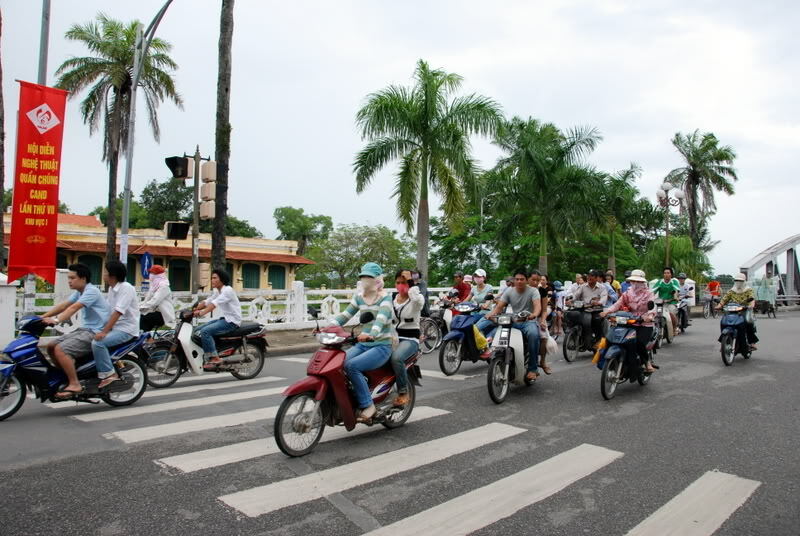 The weak economy apparently hasn’t dampened the buying power of the Vietnamese, at least not when it comes to their purchases of a popular mode of travel there – motorcycles. Honda announced last week that surging demand in the southeast Asian nation is leading the manufacturer to increase production by half a million units per year. That will bump up the overall Vietnamese production capacity to 2 million bikes annually. Through a joint venture, Honda has a motorcycle plant in Vietnam and the bump in production will come from a $70 million investment in that facility. The capacity upgrade is expected to come online sometime in late 2011. About 2.26 million bikes were sold in Vietnam last year, making it the fourth largest motorcycle market in the world behind China, Indonesia and India. It is also one of the most popular nations for automatic transmission bikes, with about three quarters of a million of those sold in 2009. Honda holds 63 percent of the Vietnamese motorcycle market share and its sales have increased every year since the joint venture’s 1996 establishment. For some perspective on the motorcycle market’s growth in Vietnam, consider that Honda’s global sales actually fell slightly last year. In North America, they fell by nearly half.